What a great life we have had together! God has been faithful through it all. Ida, a Methodist, and Ben, a Lutheran, attended a revival at the Assemblies of God church in Granada, Minnesota. Each one came to the altar independently, and made a commitment to Christ and His service. Ben said, “God, if you will heal my daughter, I will go into full-time ministry.” The pastor prayed for Barbara, and she was healed. Her parents followed through with their promise and served God, ministering for nearly seventy years. When her father pastored at the Open Bible Church in Hardin, Montana, Barbara began playing the piano during church services because a pianist was needed. At times, seven year-old Barbara would fall asleep on the pew during the sermon, and then have to be awakened to play the closing number. To begin with, playing the piano really wasn’t Barbara’s idea. She did all she could to shorten practice times, including setting the timer ahead. Her father never let her get away with this deception. 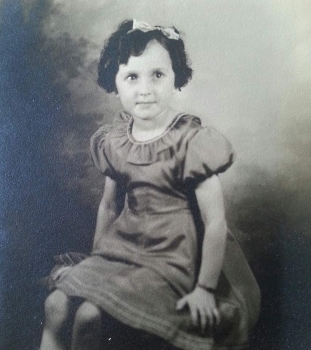 Though unusual for a pastor’s daughter, Barbara was able to attend first grade through twelfth grade in the same town. After graduating from Hardin High School in 1949, she attended Open Bible Institute in Des Moines, Iowa for two years. Because of a family move to Arizona, she went with her parents to Phoenix to play piano at her father’s new church. Open Bible wanted a church started in Seattle and Ben answered the call in about 1951. Barbara moved with her parents to Ballard (Seattle), where she secured a job at Dun and Bradstreet in downtown on Second and Cherry. Shortly thereafter, a young ministerial student also started working at Dun and Bradstreet in the mailroom. Interestingly enough, the ladies’ restroom was located nearby the mailroom, and Barbara frequented this location with an ulterior motive. She would often smile at that young man, flashing her big brown eyes at him. Eventually, they found themselves at a Youth for Christ rally, and Gene offered to drive her and her girlfriend home--the beginning of their courtship. Gene and Barbara dated about six months, and were engaged for about three more. They were married on September 4, 1954 at the Open Bible Church in Seattle, where Ben pastored. Gene’s ministry began as an associate pastor for Ben, and Barbara played the piano for services. Son Don was born October 1, 1955 and daughter Cheryl was born April 28, 1957. Barbara and Gene left Seattle in 1957 and started an Open Bible church in the Spokane Valley. In 1959 they moved to Garden Springs, just outside of Spokane, and pastored there. In 1962, they moved to Cheney, starting Cheney Community Church, which recently honored Gene and Barbara at its 50th anniversary. Third child Michelle was born July 23, 1964. After that, they pastored an Assembly of God church in Moscow, Idaho from 1967-1971. Following that, the family moved to Cathlamet, Washington where Gene pastored the Assembly of God church from 1971-1976. Bicentennial Sunday was the Ross’s first Sunday at Glad Tidings Chapel in Mukilteo, Washington. Taking a break from formal ministry, Gene began working at Seattle’s Union Gospel Mission in 1984, and Barbara began a job at Hickory Farms, then at the deli at Top Foods. She loved meeting people and getting to know her customers. These jobs were perfect for Barbara! In 1990, Gene had the opportunity to pastor the church where, as a teenager, he came to know Christ. Barbara and Gene moved to St. John, Washington, where they pastored until 1999. Their son, Don Ross, invited them to join him as part of the staff at North Seattle Christian Fellowship (now Creekside Church), and they ministered faithfully there as Seniors Pastors until 2012. While residing in Lynnwood, Washington, Barbara’s health began to decline. As Gene lovingly cared for her, a decision was made for her to move into an adult family home. In September 2015, Barbara moved to Oasis of Love Adult Family Home where Amy Mengistu provided compassionate Christian care and became Barb’s friend. They would often pray and sing together and their “I love you”/“I love you more” exchange was a daily occurrence. Barbara’s family will always be grateful that Amy made the last year of Barbara’s life so wonderful. Barbara broke her hip on October 5, 2016, remaining in the hospital until her death. She went to Heaven on October 18, 2016. Barbara had moments of lucidity when she expressed her wish to Gene to “go home,” meaning to Heaven. It was only about a day later when her prayer was answered, a much faster departure than the family anticipated. Barbara is survived by Gene, her husband of 62 years; son Don Ross and daughter-in-law Brenda; daughter Cheryl Zorko and son-in-law Michael; daughter Michelle Miller and son-in-law Gary; ten grandchildren; and seven great-grandchildren. She is also survived by her mother-in-law Zola Ross (age 103), sister-in-law Marianne Ross, step-sister Joni Cooke, many dear cousins, and two special aunts. Services will be held for Barbara on the following dates and at the following locations. That I carry in my heart. Her memory is safely kept within. I'll miss the many things she did. Each one will be remembered gratefully. We'll meet again and share Eternity.